It wouldn’t make sense to use a $5 mouse or keyboard with a $2,000 PC, right? 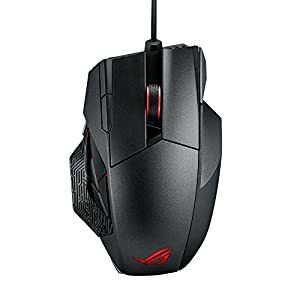 Considering how today, we will be discussing the best gaming mouse 2019, you should know that while the “gaming” and your standard mouse work on a similar fashion, and mechanism, gaming mice are better because they offer you to switch between different DPIs and extra programmable buttons. Imagine playing a Roleplaying game and having all your spells assigned to the buttons on your mouse along with the primary attacks. So, without further ado, let’s take a look at the best gaming mice. Asus took everyone by surprise when they announced their flagship gaming mouse known as the Spatha, if you think the name sounds aggressive, take a look at the mouse itself. The Spatha, of course, belongs to Asus’ top of the line Republic of Gamers line up, so you should know that you’d be getting a massive gaming mouse that would be filled with feature of all sorts, additional buttons, RGB effects that even sync up to your other ROG branded products such as motherboards, graphic cards, and even the keyboard by Asus. The next up on our list is the Razer Ouroboros, and in case you don’t know, Razer is perhaps one of the best peripheral company out in the market, that shouldn’t come as a surprise to anyone because it’s simply too good. It can be called the direct competitor of “Asus Spatha” but has been around for quite some time. There is no way that this mouse is perfect as there are some obvious flaws, for starters, the mouse is pricey considering how after all, it’s a gaming mouse. In addition to the price, for people who are looking for a simple experience, it can be a bit too confusing. However, don’t let that stop you from buying this otherwise amazing gaming mouse. So, let’s not waste anymore time, and get right into the pros and the cons. It shouldn’t come as a surprise to anyone but there is no peripheral list that would be complete without the inclusion of a peripheral from Logitech. Whether you are talking about keyboards, speakers, or headphones, Logitech has to be on the list simply because they are that good, and no, we aren’t just talking about the gaming peripherals from Logitech. We are talking about pretty much every single type of peripherals that the company has released in its long stay in the industry. Corsair’s foray into the gaming peripheral industry managed to turn quite a lot of heads; mainly because everyone got excited that their favourite case, RAM, and power supply manufacturer is finally bringing in something different on the table, and believe it or not, the foray was a success. 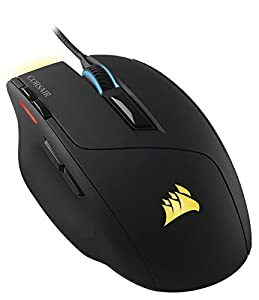 With that said, we are taking a look at the Corsair M65 Pro RGB, one of the best gaming mice available in the market, and certainly made for users who are more inclined towards saving up some money, and still getting a lot in return. Now essentially, the M65 Pro is definitely a mouse designed for FPS gamers, however, the good thing is that it is suitable to all the gamers regardless of the genre they are playing. So, definitely a plus point right there. With that said, let’s dive into what’s good, and what’s not about the Corsair M65. Excellent build quality from the cable, down to the mouse. Amazing price to performance ratio. Weight adjust system is a welcomed addition. Corsair’s CUE software is flexible, and a great way to customize your mouse. The sniper button helps adjust the DPI on the fly, making it a really good addition. The design may not please everyone. We have another gaming mouse from Logitech, and this time, it’s the G502 Proteus Spectrum; to be fairly honest, it’s one of few mice by Logitech that helped the company establish itself. Speaking of the technical stuff, Logitech didn’t really change anything from the original Proteus Spectrum apart from the fact that they added the RGB lighting system that has pretty much become the industry standard and everyone is using it in their peripherals, be it a mouse, a keyboard, or a headset. Back when Razer originally released the DeathAdder, the mouse took the gaming industry by a storm, it quickly became one of the best gaming mice on the market, it actually didn’t cost a lot, and it was everything a gamer wanted. The company later moved on released a few different mice as well, however, people still missed the DeathAdder, however, Razer finally decided to listen to the fans and came up with the Razer DeathAdder Chroma. Now in case you don’t know, considering how the RGB lighting has become an industry standard, Razer has gone ahead and invented the Chroma lighting system that can be controlled through their brilliant Razer Synapse 2.0; now the Chroma system is perhaps one of the best RGB implementations we have seen in a long, long time. Beautiful Chroma lighting and effects. Razer Synapse 2.0 is still one of the best software suites. Little to no innovation in terms of design. 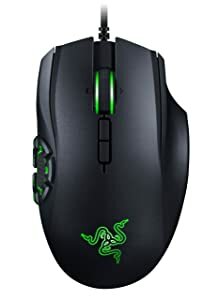 The next on our list is the Razer Naga Hex V2, and before we begin, you should know that this is perhaps one of the more revered gaming mice among the MOBA games because of a number of buttons you get, and how you can customize them completely. 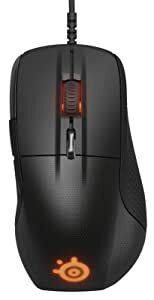 However, you should keep in mind that while this mouse is designed specifically for MOBA gamers, you should know that there is no way you can use in other games, however, this mouse is useable for games in which you have a lot of keyboard shortcuts, you can conveniently map them onto the mouse, and use them, thanks to amazing thumb grid. Razer has gone on the record and stated that the Naga Hex V2 has mechanical switches in the thumb grid to ensure that gamers have the best possible experience, and the switches don’t end up wearing out. Our testing revealed a fair bit of a tactile feels in the thumb buttons, and it was certainly a welcomed addition. Keeping it short, there are a lot of good things about the Razer Naga Hex V2, and there are a couple of bad things, but considering the industry standards, it has become a norm. With that out of the way, let’s take a look at the pros and cons. The last product on our list is coming again from Corsair, and this time, it’s the Corsair Sabre RGB. Before we begin, you should know that the Corsair Sabre RGB, in many ways, can be considered a younger brother of the Corsair M65 Pro RGB. While the Sabre RGB won’t be winning any beauty pageants because of how simple it looks as compared to some other mice we have mentioned in our list, it is certainly a good thing because the mouse is designed with simplicity in mind and it does a great job at that. Sure, as with many other gaming mice, and peripherals, there are good things, and then there are not so good things; same is the case with the Corsair Sabre RGB, and we are going to list down the pros and the cons below. The excellent sensor offers top of the line DPI, and easy to use gliding. Programmable buttons let you customize the mouse according to your own preference using CUE. Competitive pricing gives the Sabre RGB an excellent price to performance ratio. The design maybe awkward for some users to hold. Well, our top 10 list is based on what we like. This might not suit you, so we prefer you to have a look at all of the details below. That will help you in choosing your gaming mouse. I hope you want to know which gaming mouse other famous gamers are using out there? There are various big brands coming up new gaming mouse concepts and products every day. Aggressive grip stance results in attacking repertoire in PC gaming. Every gamer is more comfortable at one grip type over other. While choosing your gaming mouse, you must pick something that fits your favorite mouse grip. There are three types of grip stances, which are commonly preferred by gamers. Palm Grip: In this grip your hand entirely rests on the mouse. When you like to feel your palms rested, this is probably your favorite grip. Claw Grip: It is a ditto of palm grip with some tweaks. The index finger and middle finger is arched backward to make a perpendicular angle for clicking. Fingertip Grip: Only two fingers and thumb happens to touch mouse in this grip. Your hand stays in the air entirely. Gaming mice have to be smart to cater gamer’s every need. Modern mice are capable of avoiding registering erratic hand motions. Mouse correcting isn’t always helpful since precision is largely compromised during gameplay. Mouse’s sensitivity is measured in DPI (Dots per inch) or CPI (characters per inch). DPI can be anywhere from few hundreds to few thousands. The higher the DPI, the faster can the mouse move on a screen. The sensitivity of any best gamer’s mouse 2019 has a wide range. There are two types of sensor in mice- optical and laser. The optical sensor is suited to even the roughest surfaces. Laser sensor, however, performs better on reflective surfaces. In such settings laser sensor, returns excellent DPI. The ratio of pointer speed to the speed of hand movement defines the acceleration on a mouse. It’s measure in G force, where one G equals 9.8 meters per second. Low-sensitivity gamers need to come to terms with acceleration often since they require more hand movements. Polling rate refers to the transfer and response rate between mouse and computer. It’s measured in hertz and practically ranges between 250-1000Hz on any gaming mouse. Since the mouse is peripheral, the sent data is processed first before action is taken on screen. Programmable buttons makes gaming mice and keyboards more exciting. Gaming mice typically have buttons which can be turned into hotkeys for executing in-game actions a lot quicker. For instance, you can see sniper buttons present on an FPS specific mouse. With programmable buttons comes a set of profile settings. You can even specify different actions for buttons while changing characters in any game. With the same mouse, you can smoothly switch between genres and games. Lift off distance is how high the mouse can be lifted up from the surface before move movements get unresponsive. Mouse software may come in handy to adjust lift-off distances. In competitive gaming, the lift-off distance plays a significant role. Last but not the least, weight matters too. Not many gamers care much about it. But weight determines the level of feel during gameplay. Adjustable weights are a trending concept in gaming mice these days. Fine tuning it helps to make predictions easy and increases ease. 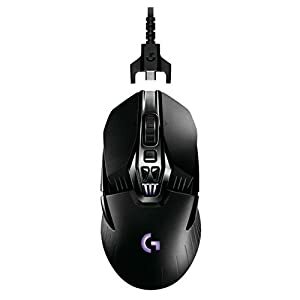 There is no denying that buying gaming mice have become sort of a necessity for a lot of people, some do it just to complete their gaming PC, while others do just for the sake of it. 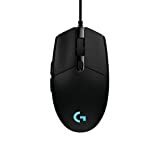 Hopefully, this list should solve your gaming mice buying woes, and you will be able to buy the perfect gaming mouse that will complement your play style, as well as the type of grip you have. Razer DeathAdder Chroma is one of my top most fave gaming mouse. Simple looking and comfortable to the palm. Nice Blog post though. Ur just a ninja fan. Ninja doesn’t use the G502 any more, I used it since release…. Good choice… Been using the Elite version here since release and it’s like it’s not there, which is how a mouse or any other periph should be. It’s comfortable (no claw-grip), simple and easy button layout, weight is spot on and has fluid movement, regardless of settings. Software, zero issues and simple navigation. I am agree with Editor’s choice. I use Logitech G502, I think it is perfect. Mine has the same issue many have had. The left click starts to go out (mine, after only a few months) and you start double-clicking everything, or not clicking at all. One of game playing mouse of 2016 if you’re on a price range is the Devastator from Chilly Expert Gaming. Apart from the proven fact that a button known as after a Transformer (already awesome), this is also one of the very greatest offers you can get on a reasonable game playing rabbit. Thanks for the guide! My headshot accuracy has been improved with Logitech G900! Great guide bought Razer Deathadder Chroma after reading this. I find it to be such a comfortable mouse and looks great too. Also if used alongside a Roccat keyboard such as the ISKU you have the shift+ functions which give you double functions for buttons. Thanks for much interesting info. Awesome List! I personally am using a Logitech G502. 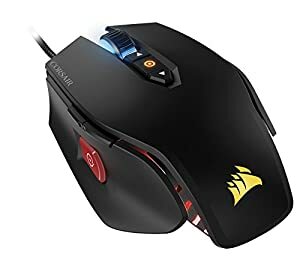 I currently am into CS:GO, PUBG, and a few MMOs and this mouse handles them all. In the past, I have used a few mice from Razer. However, I am happy with the switch to Logitech. Overall, I would highly recommend the G502. It works great, and I have mine awhile now and it still is cranking. which is the mouse with the softest wheel to press and scroll? i’m terrified when mine breaks cos its old and not produced anymore. i’ve tried the next models after it but not the same.. 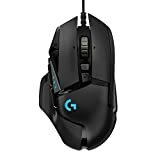 I recently bought the Logitech G502 and I got to say is the best one out of all the ones. Thank you! Awesome list i must say. 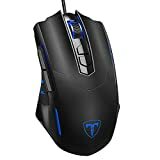 I have seen many users who uses ordinary mouse while playing games but one should use gaming mouses only. I prefer those mouse which fits into my palm and runs smoothly on any pad. I personally love my Razer DeathAdder. Very solid mouse! I love gaming mouses. I’ve Razer balde. I use it for playing Dota 2 and Counter strike. I just love it. Nice detailed article. I bought “Razer Naga Chroma” after reading your post. Thanks. Are these also used to play games online? Online I mean flash and unity3d type games? Not sure if these are only used to play video games. 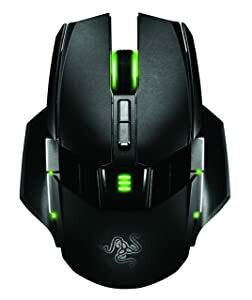 I personally like Razer Ouroboros Gaming Mouse which come with comes with 11 programmable buttons, as well as highly accurate dual sensors to keep everything in order. Thanks for sharing this highly accurate update gaming mouse list. This is an awesome guide to gamer. I personally like the Razor one. I bought “Razer Ouroboros” after reading your post. Thanks. I still prefer Cougar mouse. They have 2000 Hz polling rate and great shape. I love Minos X5. great list, these bad boys or I should say the bad mice are really market killer….. most techie one is definitely Corsair Scimitar RGB. 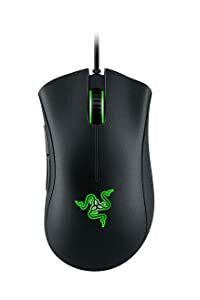 I feel that Razer Ouroboros is a good one, but again it’s about ergonomics and every human has a different level of comfort within his/her hands. I’m thinking of buying the Logitech 502 but I kind of want a Corsair M65 to match my Corsair keyboard. I actually did try a 3 dollar mouse before and it wasn’t so bad. It worked just fine for big sensitivities but it would freak out on low sensitivities with big movements. I actually did try a 5 dollar mouse before and it wasn’t so bad. It worked just fine for big sensitivities but it would freak out on low sensitivities with big movements. I think the G602 should have made the cut here. Great mouse and awesome battery life. I use it for FPS, Mmo and work daily and get zero lag, great precision and about 2 months life on eco mode. Haven’t bothered with perf mode yet. So these dpi mouses can be useful but also they are highly costly. So, it is better to go with mid rang ones. Hey Edward, awesome review. 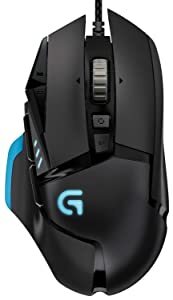 I have the Logitech G900 and It’s nice to see it featured on your list. Love this list but i think it would be nice if u added the Logitech G602 in it because in my opinion and probably many others it is a great mouse for MMO, but it is your decision to make not mine. 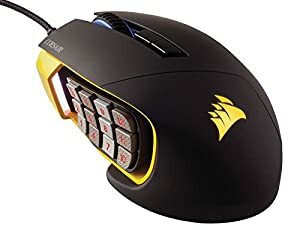 I want to buy Corsair Sabre RGB mouse. Does any one know a good key board that I should use?